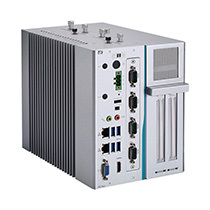 Axiomtek is a leading and professional manufacturer of rolling stock industry solutions, supplying panel PCs, box PCs and track-side PCs applied to stations, track-sides, locomotives and carriages. Railway is always the focus when it comes to enhancing traffic efficiency and convenience in an urban city. 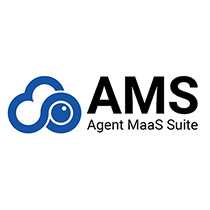 Axiomtek provides products designed for ticketing vending systems, ticket gateway systems, digital signage and passenger information systems on platforms and in stations, onboard surveillance, locomotive MMI, and onboard passenger information systems. These products are certified by EN 50155, EN 50121-3-2, EN 45545-2 and EN 50121-4, which are European standards covering electronic equipment used on rolling stock for railway applications, including temperature, humidity, shock, vibration, parameters and anti-flame, to ensure public safety and property protection in mass rapid transportation. The EN 50155 certified GOT710-837 has various I/O interfaces including CANbus, DIO and M12 type COM/USB ports, with an alternative keypad control for easy access. 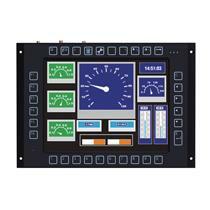 Its sunlight readable LCD comes with an auto dimming function and is suitable for demanding HMI applications in the railway sector. 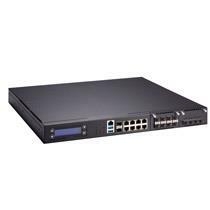 The EN 50155 certified tBOX500-510-FL has a maximum of eight M12 PoE LAN ports and can supply up to 120W power in total. 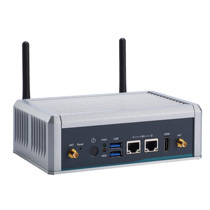 It can be used as an advertising platform that provides a wireless hotpot to passengers with its onboard display, wireless modules and swappable SATA drives. 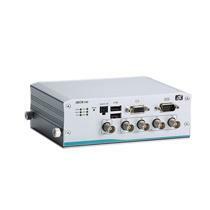 The P6217W widescreen monitor provides VGA, HDMI and DVI-D signal inputs. 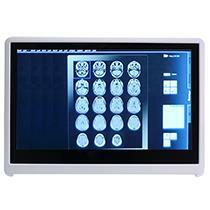 It has a 21.5" full HD LCD display especially designed to show passenger information. 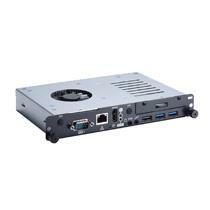 The eBOX638-840-FL, a highly expandable embedded system, has the quad-core Intel® Celeron® processor J1900 for outstanding computing performance and extremely low power consumption. 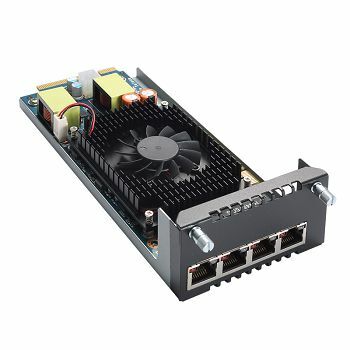 This fanless and noiseless platform also provides great scalability, featuring dual PCI or dual PCIe slots via an internal riser design. 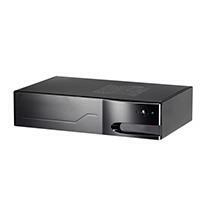 The eBOX100-312-FL is powered by the Intel® Celeron® processor N3350 or Pentium® processor N4200 with turbo boost mode. 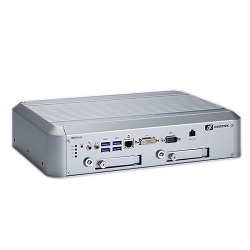 This fanless embedded system has an ultra-slim size and low power consumption. 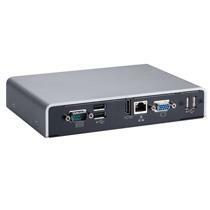 The rugged-yet-flexible embedded PC has multiple USB and LAN ports and is integrated with Microsoft Azure. 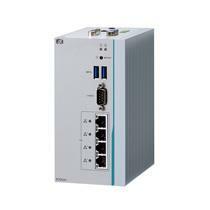 The DIN-rail ICO320-83C is equipped with four LAN PoE ports and can directly connect to IP cameras. 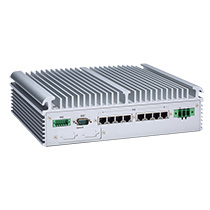 The ICO320-83C's compact size and easy installation makes it suitable for anywhere on the platform. 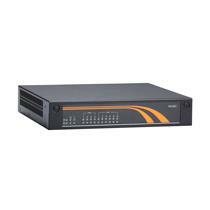 The GOT3187WL-834-PCT has a brightness of 250 nits and a HD resolution. 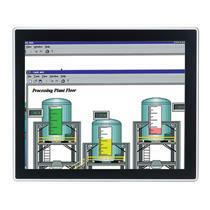 It comes with a capacitive multi-touch widescreen and IP65-rated aluminum front bezel.